Zac Efron makes a cameo appearance during S06E09 of Entourage, Security Briefs. He can be seen near the six-minute mark firing Adam Davies over the phone and signing an autograph for an enthusiastic fan. 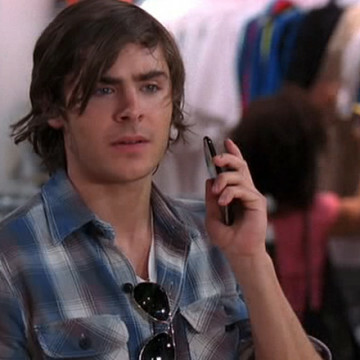 Zac played the part of Troy in 2006’s High School Musical and starred in 2009’s 17 Again.